Priyanka Chopra to sing, but for Anushka.. Yes.. you read it right.. We have seen many actresses singing songs for their own films like Shraddha Kapoor, Alia Bhatt, etc. We even know that Priyanka Chopra is a singer too. Has sung few international numbers which are highly acclaimed by her fan followers. But whats amazing our filmy world here is the news saying Priyanka Chopra will be rendering her voice for Anushka Sharma in their upcoming film Dil Dhadakne Do. If sources are not wrong, this is going to be one rare moment for the fan followings of PC as well as Anushka. Music for the film will be composed by Filmfare’15 award winner Shankar-Ehsaan-Loy. As per sources it is also told that the male voice for this song will be rendered by Rock-on star Actor-Director-Singer Farhan Akhtar. This much awaited film of Zoya Akhtar (director of Zindagi Na Milegi Dobara) is reported to have completed shooting and is at post-production now. Expected release date for the film is June 5, 2015. 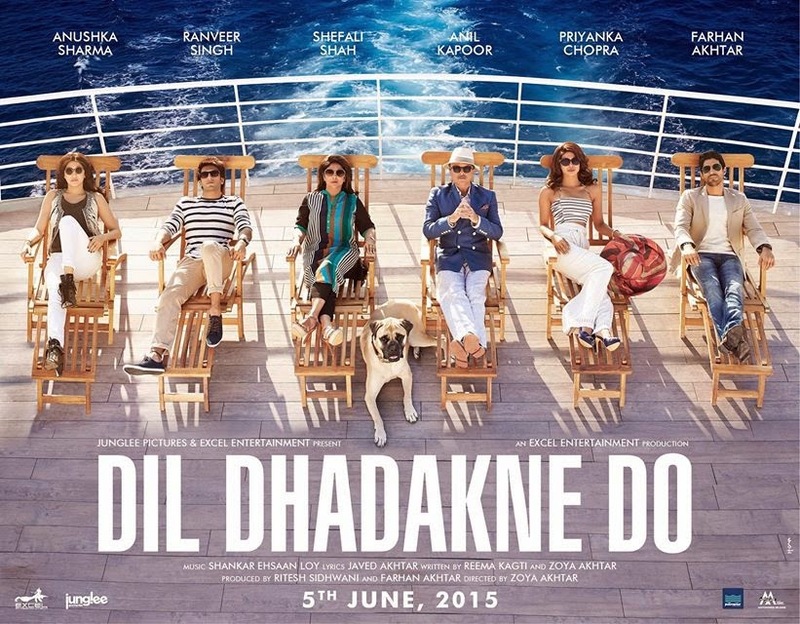 Dil Dhadakne Do is a multi starer project of Excel Entertainment. DDD has Anushka Sharma, Ranveer Singh, Shefali Shah, Anil Kapoor, Priyanka Chopra, Farhan Akhtar. After the success of Zindagi Na Milegi Dobara, fans are really upto this next project of Zoya Akhtar.